School Specialty is an education company providing products, programs and services that enhance student achievement and development.. School Specialty's family of brands serves more than 116,000 schools throughout the U.S. and Canada, with a range of more than 100,000 products. What they needed was a re-thinking of how they were selling to, and communicating to educators. They have to cater to various audiences, grade levels, requirements and needs. 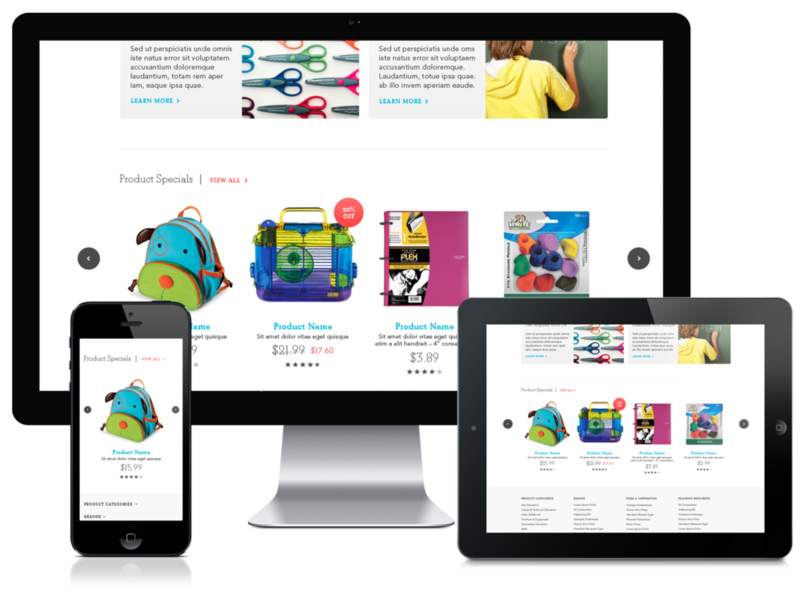 Our solution was a highly dynamic system that allows for more intuitive product groupings, thought leadership content, and more intelligent cart management. 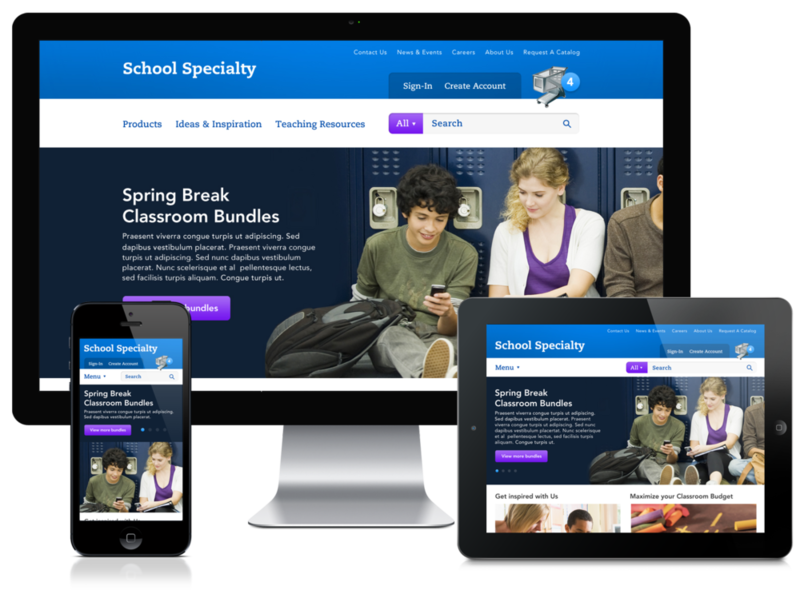 In addition, it is a built on a responsive platform, allowing a single hub for all of the educator's devices.